Accordingly, many wedding couples are now opting to hire a second photographer. Since you'll want to include both formal portraiture and candid shots in your album, having two photographers "tag team" throughout the day brings spontaneous style and dimension to your wedding memories. Most couples have a vision for their wedding photography that includes several must-have artistic moments, and a lot of them need to be captured virtually simultaneously. Two photographers working together will be able to work two different places at once. For example, the bride will likely want a photo of her dress hanging in a beautiful spot that's evocative of the wedding location, such as backlit in a window or on a cottage door. She'll want her preparations covered, especially shots of her mother or sister helping her with her veil or necklace. The couple will want their cake, flowers and beautifully set tables documented before the festivities begin. 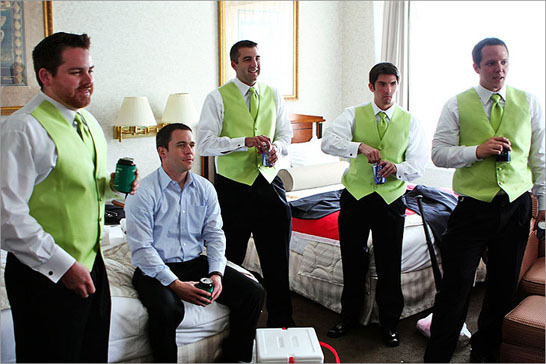 And while the bride's getting ready, the groom will be undergoing his own preparations with his groomsmen, which can involve moments of hilarity and camaraderie — as well as solemn introspection — as the groom prepares to take his vows. With two photographers, you'll be able to capture all of these meaningful details before the ceremony even begins. While you'll want plenty of formal family portraits, the images of spontaneous emotional moments can be the icing on the cake. While one photographer is documenting your father's emotional toast, for example, the other will be able capture your mother's happy tears while he's making it. A second photographer will also be able to get shots of your guests' reactions to the many touching and often funny moments throughout the day. Particularly with larger weddings of more than 100 people, having two photographers on hand will ensure that every detail of your wedding day goes down in history. Having a second photographer often adds a palpable sense of time and dimension to the photos of your day, which will truly bring your wedding to life. With two photographers capturing moments that occur simultaneously, they will be able to bring a real-time, photojournalisticquality to your images. For example, while one photographer is up front with the groom during the processional, the other can be in the back with the bride and her father or family. With two photographers working at once and from different angles, you will end up with shots of the groom's face when the bride first appears. You'll have the bride moments before walking down the aisle, as well as beautiful shots of her back as she proceeds. You'll have close-ups of the emotional VIPs in the front row. 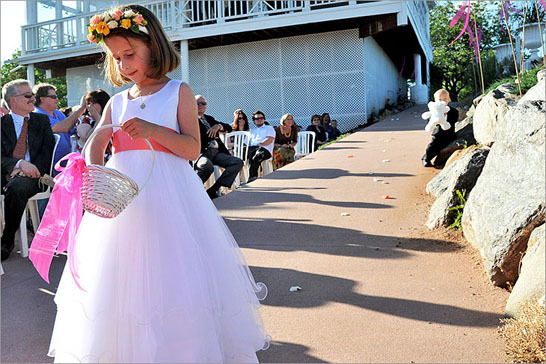 You'll have the flower girl looking adoringly at the bride and the bride catching the groom's eye at the very same moment. 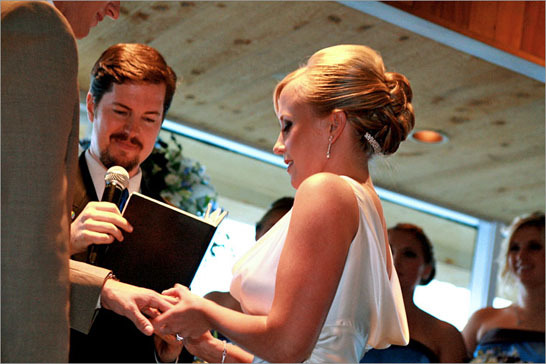 Taken together, these different facets of the ceremony create a full emotional picture of the moment. Wedding events tend to be fast-paced, so your two photographers will need to communicate clearly, quickly and often with one another. The second photographer will help the first with formal shots, but will also be roving for spontaneous shots. At times they'll be capturing the same event from different angles and possibly with different lenses for different effects. Bella's second shooters work seamlessly with the main photographers and Bella filmmakers to ensure that every moment is gets optimal coverage. With a perfectly matched team of experienced Bella photographers you will not only have a beautiful and comprehensive photojournalistic record of your day, but also the peace of mind to fully enjoy it while it's happening. See if Bella Pictures is available to shoot your event with our wedding photographers.